← The 2018 Doo Dah Queen is Chosen! Long Live Queen Sassy but Classy! 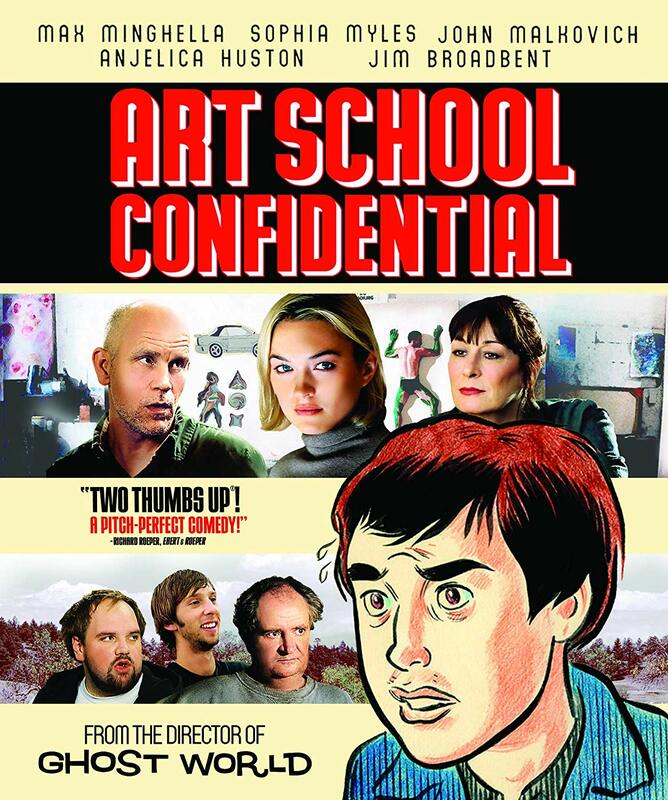 “Art School Confidential” (2006, MVD Visual) Naïve student Max Minghella is dismayed to find that his dream of becoming the next Picasso is regularly trampled at an East Coast art college by a parade of egos, both dampened and unfettered, including frustrated educators, rum-soaked artists, talent-free or unhinged classmates, and a serial killer on the loose. As with their previous team-up, “Ghost World,” director Terry Zwigoff and writer Daniel Clowes lead an expedition into the depths of a niche universe here; the takeaway – that art schools breed mediocrity and cut-throat opportunism – is particularly cynical, but as anyone with a BFA can tell you, it’s not entirely inaccurate. The rough patches are largely smoothed over by John Malkovich and Jim Broadbent as studies of careers in decline, Anjelica Huston as an exasperated lit professor and inveterate scene-stealers Ethan Suplee, Joel David Moore, Michael Lerner, Katherine Moennig, Marshall Bell and an uncredited Steve Buscemi, all in various capacities; Clowes, Mark Mothersbaugh and Caitlin Mitchell-Dayton provide artwork. MVD’s Blu-ray includes several making-of featurettes and deleted scenes. “The Last Movie” (1971, Arbelos) When a Hollywood Western filming in Peru is abandoned, a stuntman (writer-director Dennis Hopper) remains behind and finds something like purpose with a local girl and vague dreams of prospecting or building a resort; meanwhile, the local indigenous people, who have observed the production mechanics, mount their own movie, complete with a very violent, very real final act. Hopper’s follow-up to “Easy Rider” represents the downside to the storied creative freedom of Hollywood in the early ’70s; Universal, expecting another youthquake blockbuster, received instead a surreal, self-referential diatribe on the negative influence of movies on artistic truth, and took the picture away from Hopper, who spiraled into a decades-long, drug-fueled decline. 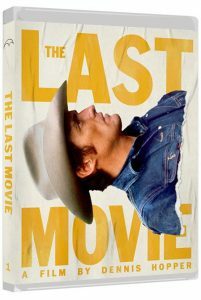 Negatively received during its brief release, it can be viewed now as an ambitious effort to fuse the aesthetic of ’60s underground cinema into a studio picture; not everything works, and there’s as much bloat as inspiration on screen, but for pure audacity and bravado, “The Last Movie” is hard to beat. The supporting cast is filled with Hopper’s friends and compatriots, including Peter Fonda, Kris Kristofferson, Tomas Milian, Michelle Phillips (who after completing the film, would marry and divorce Hopper over the course of eight days) and directors Samuel Fuller and Henry Jaglom; Arbelos’ Blu-ray includes new and vintage making-of documentaries, including a lengthy interview with Hopper, interviews with the Peruvian crew, and a lengthy booklet that includes L.M. Kit Carson’s 1970 report from the set. 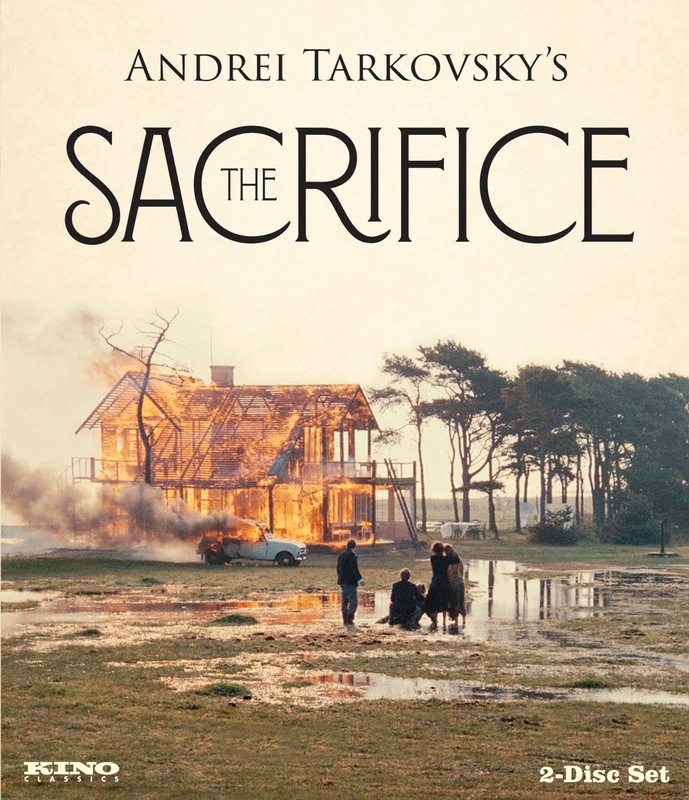 “The Sacrifice” (1986, Kino Lorber) A birthday celebration for writer and critic Erland Josephson is interrupted by the announcement of all-out war between unnamed countries; faced with the imminent death of his beloved family, and his own lack of spiritual faith, he bleats out a panicked offer of exchange to God that will, unbeknownst to him, have an equally tremendous impact on his life. Final film from the magisterial Russian director Andrei Tarkovsky (who died prior to the film’s release) touches on the possibility of belief and faith in the face of widespread misery and soulless modernity; as with his other films (“Solaris,” “Stalker“), the pace is glacial and the intent sometimes inscrutable, but Tarkovsky’s core tenet – the search for meaning and spirituality in human existence – blooms forth in strange, moving and magical ways, some of which will echo Ingmar Bergman‘s own inner explorations. The film itself is something of a tribute to Bergman, not only in tone and theme, but also due to the presence of frequent collaborators like Josephson, cinematographer Sven Nykvist, production designer Anna Asp and even Bergman’s own son, Daniel, who served as camera assistant. Kino’s two-disc Blu-ray is a must-have for Tarkovsky completists, and features new commentary by Layla Alexander-Garrett, who served as set translator on the film, as well as Michael Leszczylowksi, whose complete 102-minute documentary “Directed by Andrei Tarkovksy” (about the making of “The Sacrifice”) is also included. Excerpts from Tarkovsky’s diaries and the theatrical trailer round out the set. 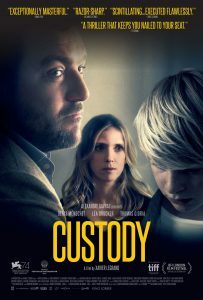 “Custody” (2017, Kino Lorber) Harrowing depiction of a divorce as seen through the eyes of the couple’s two children: one (Mathilde Auneveux), who has been terrorized by her hair-trigger-tempered father (Denis Menochet), and as a teenager, can keep her distance, and the other (Thomas Gloria), an 11-year-old who regards his father as “the other” but has no say about joint custody. Nothing is clear-cut in this French drama by Xavier Legrand; the children and their mother (Lea Drucker) are terrified of Menochet, but his anger is rooted in frustration and sadness over being perceived as a monster. There are no easy solutions, and very little by way of high drama or exploitative violence; for the family, there are just endless court sessions, uncomfortable forced visits and an ever-present threat of emotional/physical violence that stains every moment (e.g., a birthday party at which Auneveux attempts to sing to the guests while trying to hold in her terror at Menochet, who lurks nearby). A deep, difficult, sad film, but again, as anyone who’s gone through family trauma can tell you, also hauntingly accurate. Kino’s Blu-ray includes an interview with Legrand and his unsettling short film, “Just Before Losing Everything” (2013), which can be viewed as a prequel to “Custody,” and features many of the same players. This entry was posted in Movies and tagged Arbelos Films, Kino Lorber, MVD Marquee Collection, MVD Visual. Bookmark the permalink.